This post is about a name and a place. The name is Satoko Kitahara 北原怜子 a.k.a. “Mary of Ants Town” (1929-1958). 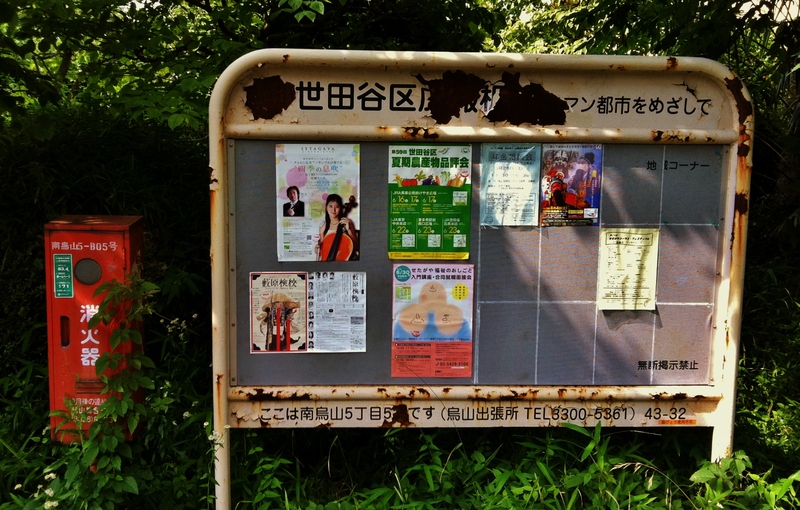 The place is 蟻の街, Ari-no-machi, meaning “Ants Villa”, “Ants Town”, “City of Ants”, etc. Founded by Motomu Ozawa 小沢求 in 1950, the organization was named “the Association of Ants” 「蟻の会」, and located itself on the site of a former lumberyard. The community was named for ants because “‘ants work hard, anywhere at all, and gain strength from community,'” a sentiment expressed by Tooru Matsui, an early leader of the community (Source 1, page 234). The following photo, circa 1969, shows the tailgate of a ragpicker’s truck, decorated with the logo of an ant dragging the world (source). Ants Town would find an unlikely advocate (and public face) in the form of Satoko Kitahara. Kitahara was raised in a comfortable household, the daughter of a professor, and herself a graduate of pharmaceutical college. Her introduction to the world of Ants Town was made when Brother Zeno, a Polish Franciscan priest, stopped by the Kitahara family home, presumably asking for alms for the poor. 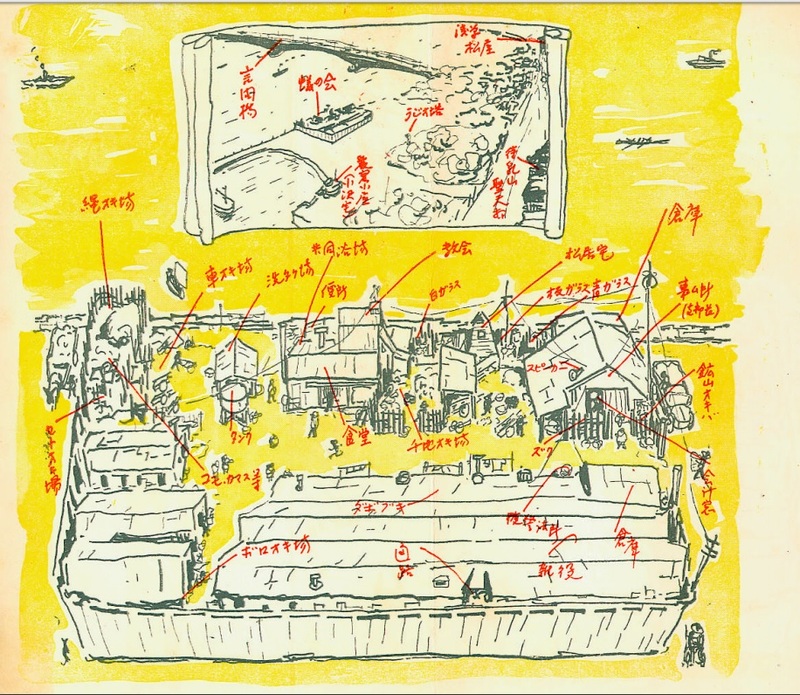 Kitahara was impressed by Brother Zeno and was moved by his description of the people of Ants Town. 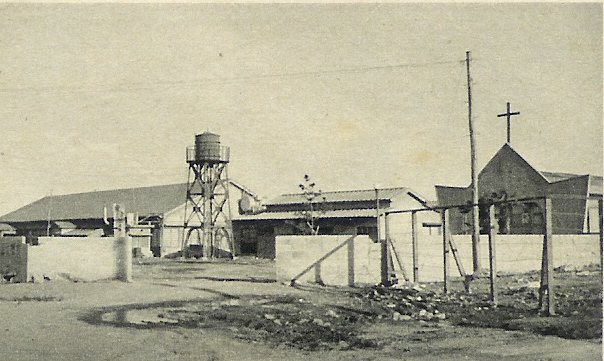 In 1951 Kitahara began working with the community, educating and caring for the children of Ari-no-machi. 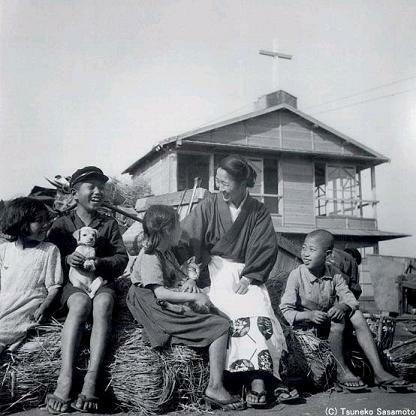 Kitahara moved into Ants Town in 1952 and lived there until her death from tuberculosis in 1958. 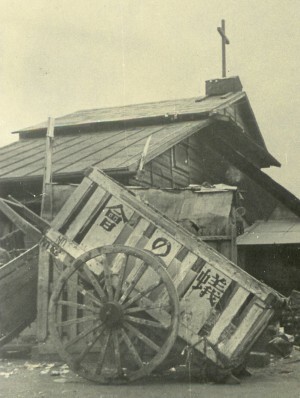 Here’s a photo of Kitahara, taken by Tsuneko Sasamoto, the first female photojournalist in Japan (source). 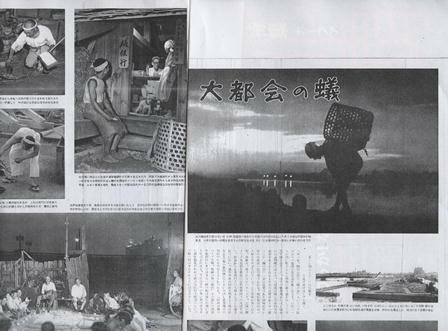 Kitahara’s story gained wide attention, as evidence by the 1958 film 「蟻の街のマリア」 starring actress 千之赫子 Chino Kakuko ちの かくこ (English title: Ragpicker’s Angel). Also, her story was told in the June, 1959 publication, 『蟻の街のマリア』, written by 松居桃楼 , illustrated by 姫野ひろし, and published by トモブック社. Kitahara’s full Christian name was エリザベト マリア 北原怜子 (Elizabeth Mary Satoko Kitahara); although she succumbed to tuberculosis on January 23, 1958, she continues to be celebrated internationally, primarily in Catholic circles. On January 22, 2015, Kitahara was declared “venerable” by Pope Francis, an honor that is quite rare for a Japanese person; only the various Martyrs of Japan 日本の殉教者 have achieved greater recognition from the Roman Catholic Church. The community’s first home was “an abandoned building in the public park” (Source 1), adjacent to a former lumberyard. One source (at 1:11) says the original building was 製材工場従業見用の, a former residence for sawmill factory employees. 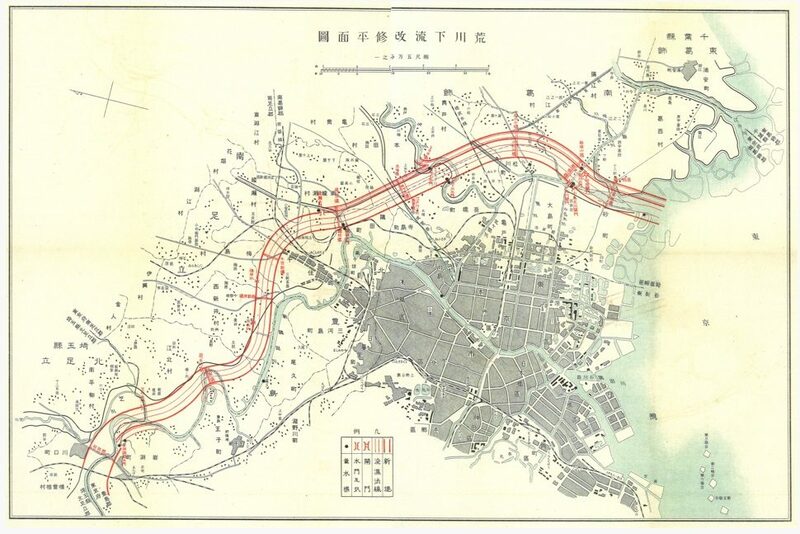 The original building may possibly be visible in this aerial photo of the Sumida River from 1945/1950 (map). 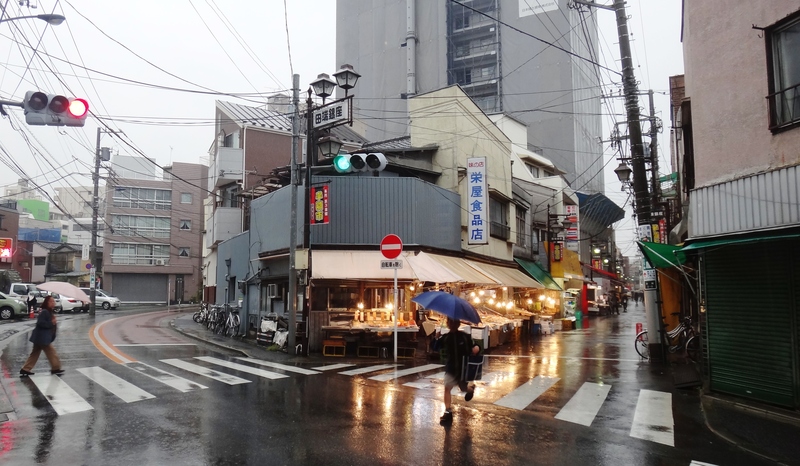 Ants Town agreed to leave Asakusa at the request the Tokyo government, making way for a public park. In 1960 the community moved to “No. 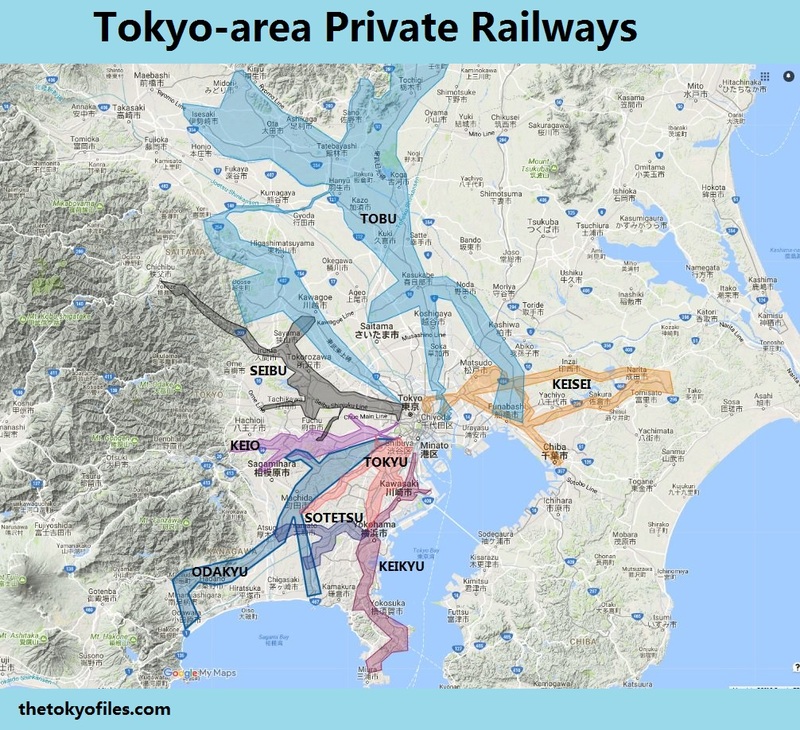 8 landfill” 8号埋立地 , then a damp and isolated plot of reclaimed land on the edge of Koto-ku (深川区深川枝川町地先第８号埋立地).The land is seen here in a planning document from 1964, and an aerial photo from 1945/1950. 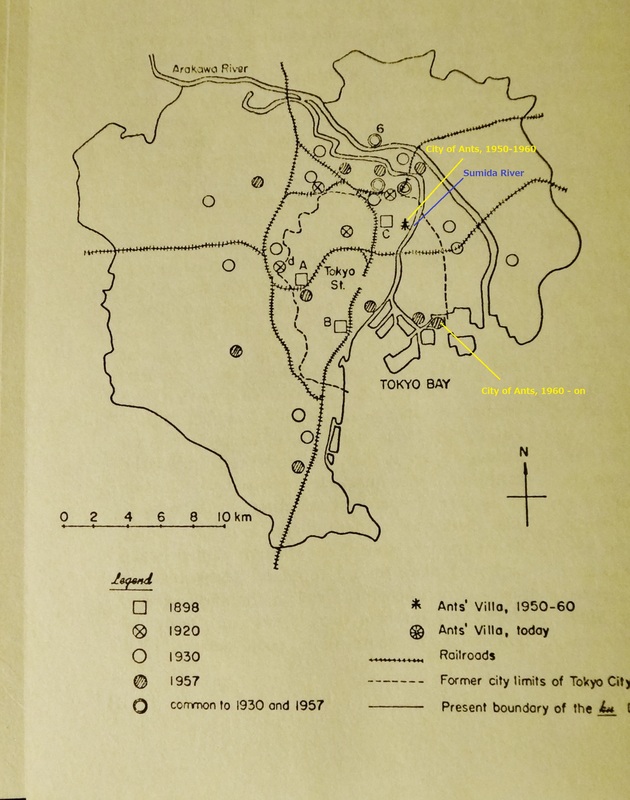 This map shows the original location of Ants Town, followed by the new location. 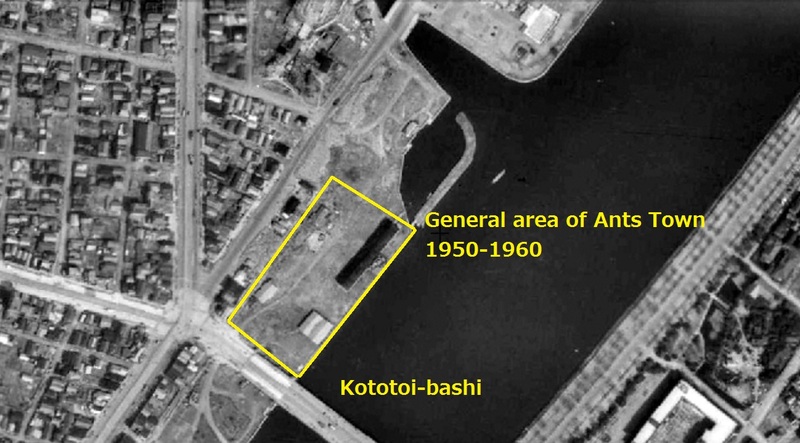 And here are detailed aerial photos showing no buildings in 1945/50; by 1961/64 several structures comprising the new Ants Town are visible (these structures would remain in place until at least 1984/87). 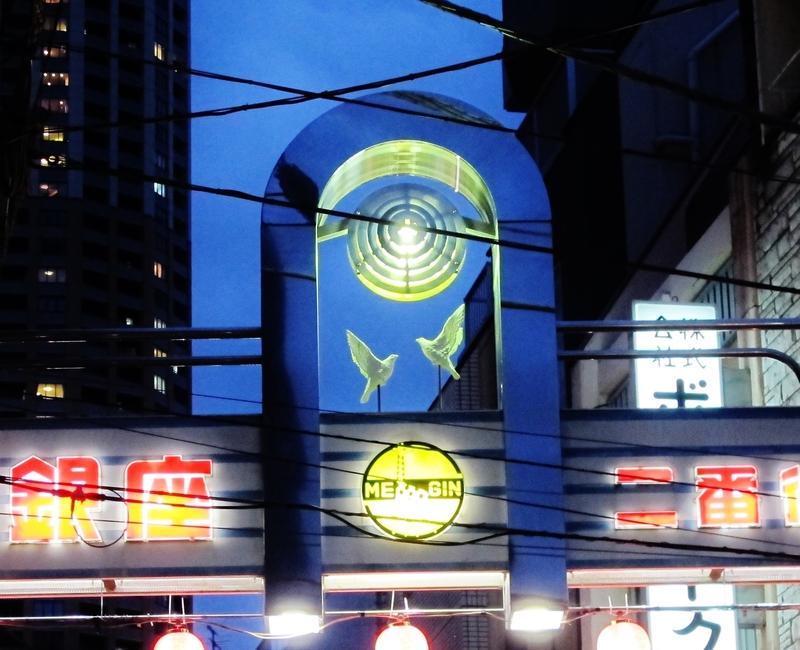 In 1962 the church of new Ants Town was named Edagawa Catholic Church (Ant Town Church) 「カトリック枝川教会(蟻の町教会)」. 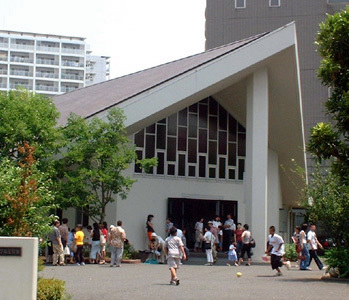 The church was renamed Shiomi Catholic Church カトリック東京大司教区潮見教会 in 1985 (PDF). The Association of Ants disbanded in 1988. 蟻の街 = Ari-no-machi ありのまち, meaning “Ants Villa”, “Ant Town”, “Village of Ants”, “Town of the Ant”, “City of Ants”, etc. ; also written 「アリの街」, 「アリの町」 or「蟻の町」.